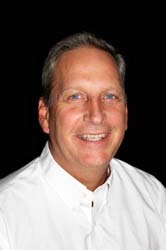 As one of the founding partners of Browning Communications, Jim Hoffman brings twenty-seven years experience in commercial printing and direct mail, holding the title of President and Vice of Operations before selling his interest in the company to join Spectrum Print Communications as an Account Executive. Having developed integrated marketing campaigns for national companies, Jim understands the concept of “Total Print Management Solutions” and offers his expertise to manage our client’s projects from conception to completion. “We must know our client’s needs and marketing objectives first in order to assist them in meeting their company goals, that is what separates Spectrum Print Communications from the competition”. Jim is a former soldier who served five years with the United States Army, attained the rank of Sergeant before being honorably discharged. Jim’s passion for youth sports includes coaching baseball for twelve years and serving as President for Altamonte Springs Babe Ruth Baseball for three years. Also, as Past Chair for the West Volusia Florida Hospital Foundation, Jim served nine years as a trustee while fundraising for the fight against Cancer. Jim enjoys spending time with his wife of thirty-two years, Vicky and their three children. Hobbies include golf, softball, snow skiing, motorcycles and bible study. As a native of Illinois, Jim is a fan of professional sports and enjoys spending time following the Chicago Cubs, Bears, Blackhawks and Bulls!